Having trouble seeing graphics in this email? View as a web page. To ensure you receive these emails, please add Coca-Cola@email-icoke.com to your address book. 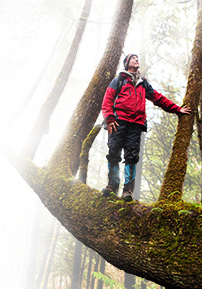 Get involved.Support your favorite park. The Coca-Cola Company has supported America’s parks for more than40 years in an effort to keep our nation’s green spaces beautifuland encourage active, healthy lifestyles. This summer, Coca-Colais once again supporting America’s parks by giving grantstotaling $175,000* to three of the country’s favorite parks. Getinvolved and vote for your favorite park today. Part bottle. Part Mother Nature. All progress. 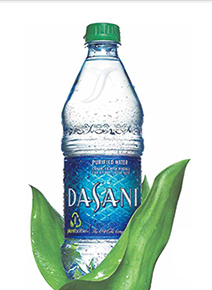 This year, we’re rolling out the Dasani® PlantBottle™ nationally,an innovative packaging made with a blend of traditional materialand 30% plant-based material. By using renewable materialssourced from sustainable sugar cane production, we have created abetter bottle for a brighter future. Old rail tracks turned into bike trail tracks. That’s petal and pedal power. 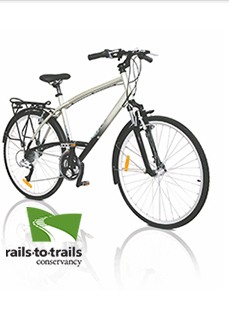 For the past five years, Coca-Cola has supported the Rails-to-TrailsConservancy in converting hundreds of miles of railroad corridorsinto outdoor trails. Together we’ve helped provide places formore than 5 million people to bike, walk and in-line skate allacross America. *No Purchase Necessary. Only legal residents of the 50 U.S. (andD.C.) 18 years and older are eligible to participate. Participateon behalf of a park by September 6, 2011. To participate, and forofficial rules and complete rules including grant descriptions,visit www.livepositively.com/americasparks. Void where prohibited. This email was sent to you because you asked to receive updates from The Coca-Cola Company. To unsubscribe from future Coca-Cola Company emails, click on the “Unsubscribe” link above. ©2011 The Coca-Cola Company. All rights reserved.